If you liked our June story 'The Play's the Thing,' about how the Green Meetings Industry Council used a multi-player game to help attendees engage with content at the 2011 Sustainable Meetings Conference, you're going to love this. Elizabeth Henderson, chief sustainability strategist at Meeting Change and conference program committee chair, and Mitchell Beer, president of The Conference Publishers, have released a 40-page case study about the experiment. The case study Game ON! 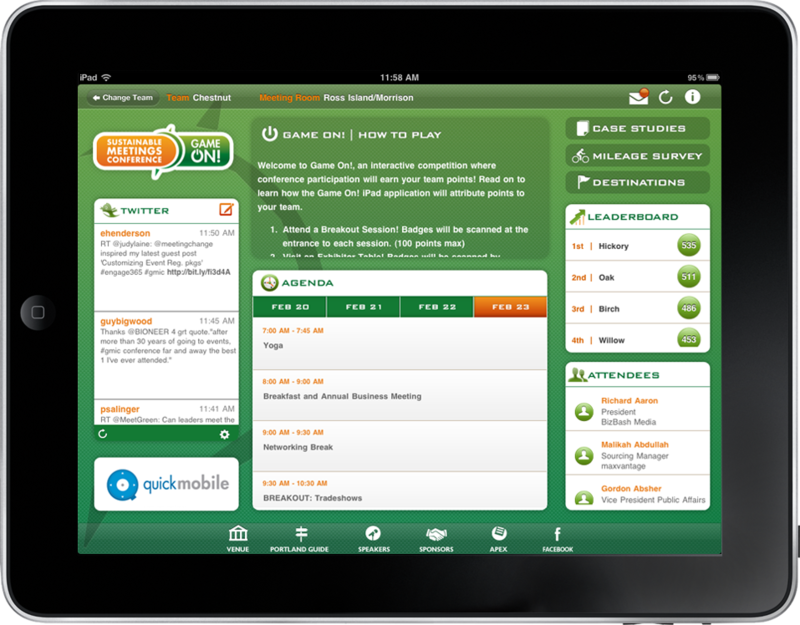 The Gamification of the 2011 GMIC Sustainable Meetings Conference, offers fine-grained detail about the conference goals and the game’s design, deconstructing everything from the planning process to the technology used to the onsite experience for attendees. And even as they report that many participants said the conference was the best one they had ever attended, the authors also note that it wasn’t an unqualified success. And they lay out the lessons learned with as much care as they take in talking about its successes. The Game ON! 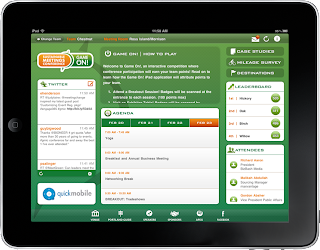 design team was the first to apply the principles of gaming to a meetings-industry conference. So it’s very fortunate that GMIC and Henderson are so generous in making their process transparent and accessible. 1. Game organizers should be clear about the behaviors or knowledge they want to reinforce. Those objectives become the focus of the game design. 2. Successful game design depends on a good knowledge of the target audience. In a game environment, demographics and widely held beliefs merge with psychological and physiological factors to determine level of engagement. 3. Technology is a true enabler of conference gamification. Technology allows individuals to participate, collaborate, and track results in ways that would not otherwise be possible. 4. Leaders are important to the success of the game. Team leaders should be competent, knowledgeable, and comfortable leading a team, but willing to listen to ideas and adapt to new situations.